Adjustable waist belt with a quick release buckle keeps the canteen tightly secured. If you have any questions about this product by Military Cup, contact us by completing and submitting the form below. If you are looking for a specif part number, please include it with your message. 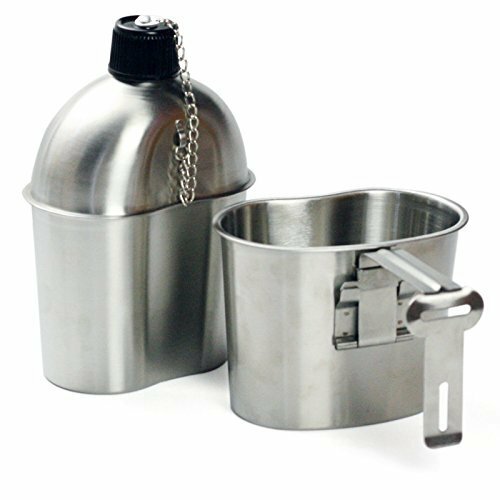 BRAND NEW MILITARY STYLE STAINLESS STEEL CANTEEN WITH CUP, 1.3LITER (44oz.) AND LID WITH Genuine G.I. Surplus, ACU MOLLE II Pouch KIT.